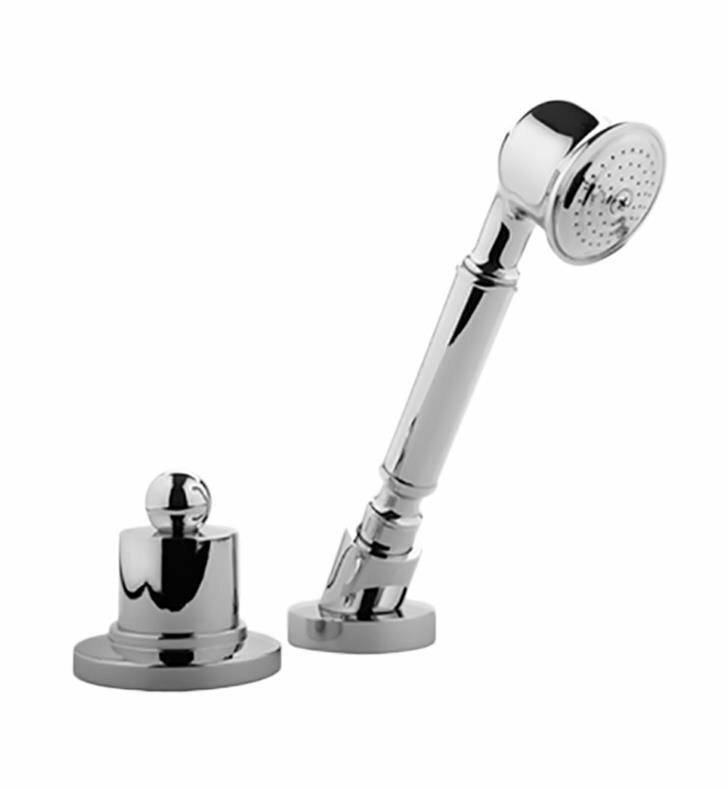 The Bali Deck Mounted Handshower and Diverter Set is a modern elegance to your bathtub. 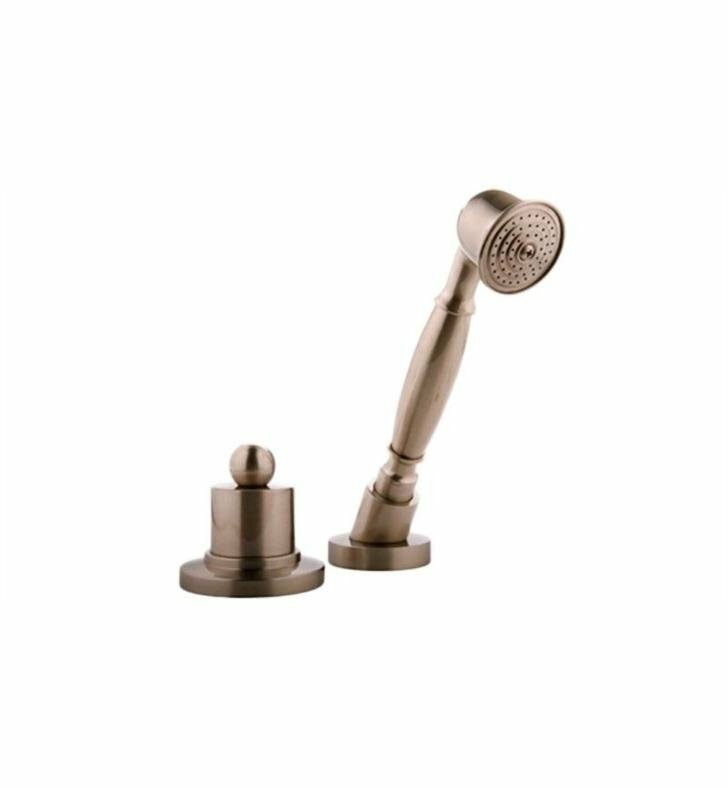 This modern handshower installs to the deck of your bathtub for a simple way to have control of your water positioning and flow. To divert water to the handshower simply press down on the diverter trim that will redirect the water from the tub spout to the handshower. L 8" x D 5 3/8"